Diggro N88 smart watch with Color OLED screen clearly displays health parameters including time, date, steps, calories as well as heart rate. Blood pressure and blood oxygen measurement allows you to understand your body better. 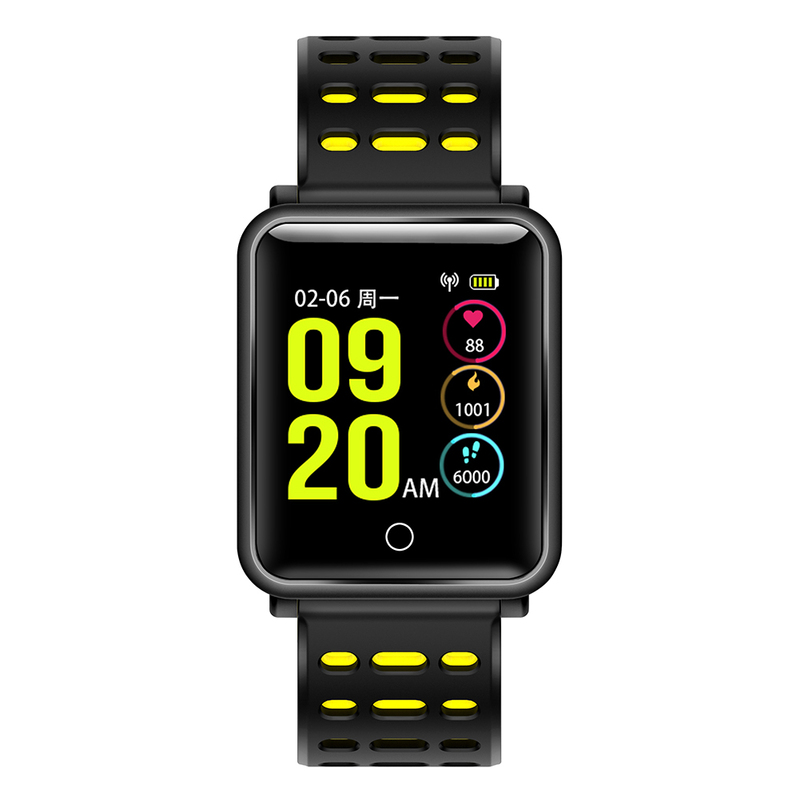 With comfortable Replaceable silicone strap and light weight feature, you can wear it to do exercise comfortabaly, such as running, climbing. Not only can the device record the data in your movement, it can also remind the call and push the information when you are busy. When you are sleeping, it will monitor your sleep quality and it can wake you up by vibrating gently. High performance and advanced smart features are the best advantages so that N88 smart bracelet will be your indispensable personal fitness companion. It's our pleasure to provide you a funny and healthy life. Silicone strap, is perfect fit your wrist. Replace strap easily. With IP68 water & dust protection, the watch can be used for shallow-water activities like swimming in a pool but not more than 3 meters. Monitor your Blood Pressure, know more about your body. The device will vibrate and the screen shows numbers or names when there is an incoming call. Press Bracelet touch button for a long time, you can hang up the phone. When a new message arrives, the device vibrates and the screen shows relevant notifications and corresponding icons. Many clocks can be set, you will not miss something important. You can view motion data and motion tracks in the app. 12 hour system / 24 hour system can be chosen.